Creating 2D drawings is an art – knowing what information is required and how to display it in a readable arrangement, while being efficient with the space provided, takes certain skill and experience. It used to also take a steady hand when a piece of paper and a pencil were the tools of choice. When CAD systems found their way into industry, capturing information in an electronic format was both a faster way to get the job done and provided a more consistent presentation of information. 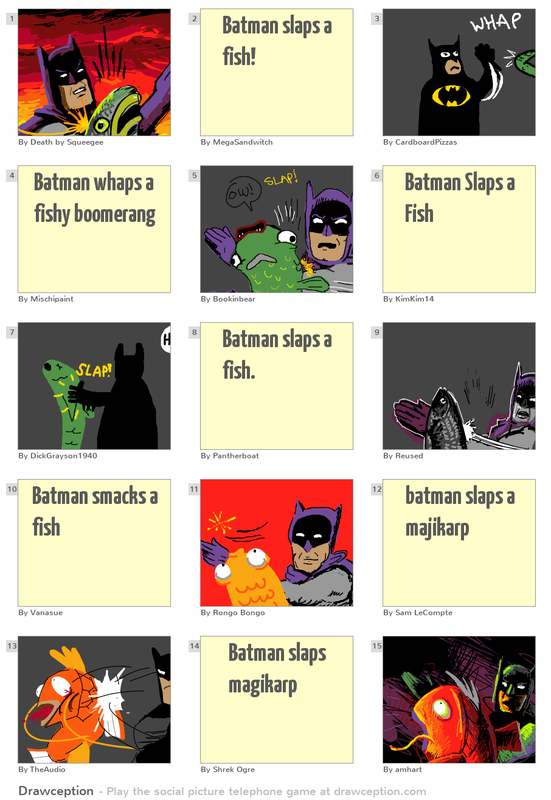 Are you going to click a blog where Batman slaps a fish? Probably. A 2D drawing is ultimately intended for human interpretation. A human will look at the drawing and read its information in order to manufacture and/or inspect the part (either manually or by programming a machine to do it), so the human capturing the information in the drawing has to be thoughtful about doing so, ensuring the information that the manufacturer, inspector, or assembler needs will be shown on the drawing. The “problem” with the art of capturing such information in a drawing is that information may be easily misinterpreted or lost. If you’ve never been to Drawception, go there the next time you need a little comic relief. The idea is the same one behind the telephone game that you played as a kid: whisper something in the ear of the person sitting next to you, the next person does the same and, inevitably by the time several people have done this in succession, the message is completely different. 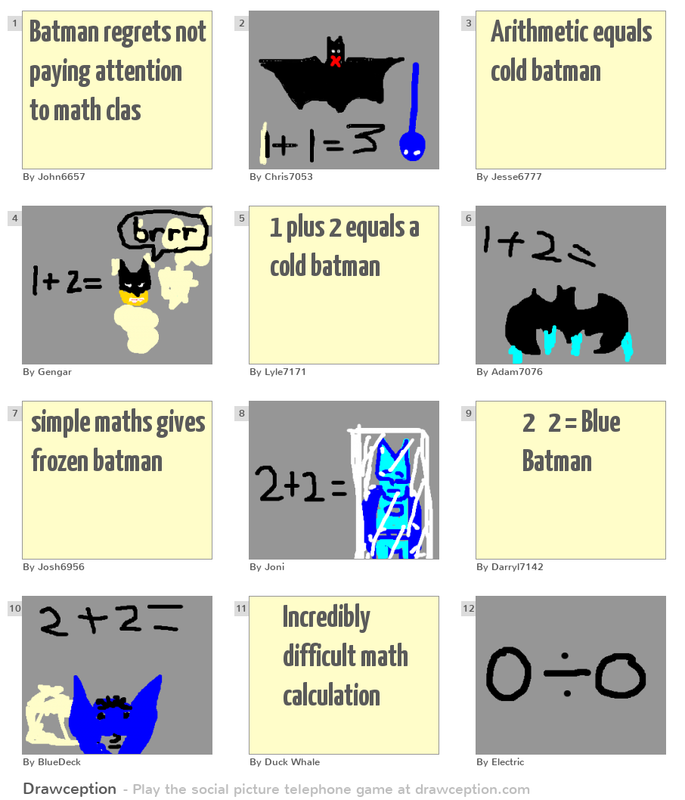 Drawception is essentially the same game but uses pictures and written words instead of spoken words. The 12-player game begins with a simple phrase. Then a player draws it. Then another player uses words to describes the drawing… and so on until 12 people have played. Comparing the 1st and 12th panels is humorous! The pictures and words used in the Drawception game are essentially the same type of information found on a 2D drawing! If we’re not clear with our pictures and words, our ideas are easily misconstrued. So what is the solution to the artist’s dilemma? Model-Based Definition (MBD) is a method of product documentation that facilitates the ability to trust the geometry data already encompassed in a native CAD file and to eliminate dimension and tolerance drawing inconsistencies that lead to manufacturing errors or design rework. Eventually, it would be nice to eliminate all manually create annotations (3D or 2D), but today, MBD still hold methods for “presenting” the data to your human brain to enable you to “trust” the digital data. Because of this “presentation” data we are still creating, human error is still a factor, so it doesn’t completely eliminate errors and re-work… today! If MBD is a new concept to you, this an approach to capturing as much product documentation as your CAD to PDM to PLM technology will allow. Typically, this data is capture in a data package, which simply put, is a set of digital files collected for product manufacture and/or inspection and archive. The difference and advantage to capturing the information in this way is that a computer or software program has direct access to the bits of data that describe the entire model (geometry, topology and attributes), and if a human needs a piece of information that is not displayed on the 3D model, they have direct access to the geometry, and can easily take the measurement that they need. The bigger reason that MBD models are more of a science than an art is because the information contained in the model is ultimately intended to communicate with other digital devices, such as manufacturing and metrology equipment. Ideally, a human would design the part to capture the shape, material and function, then add the geometric tolerances (semantic of course! 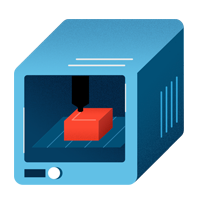 ), and would then send it directly to a machine to be manufactured. An inspection device could then read the same CAD file to compare the produced part with the virtual design. In a futuristic world (or tomorrow if you are brave), there might be no human interaction required! The CAD file could be automatically retrieved from the product data management (PDM) system to which the manufacturing and inspection devices are connected. A robot could even take the manufactured part from the machine that made it and automatically place it in the inspection device. Okay, okay… before I cause any emotional outburst, I’ll stop. A girl can dream! process knows that we aren’t quite there yet. Furthermore, those that implement model-based CAD technology today, certainly know that their work is somewhat an “Art”. When could this be a reality? That’s a hard question to answer. The starting point is to have a common standard for passing this information between systems – and we do. STEP AP 242 (ISO 10303) is among the most popular formats (thanks to efforts that Boeing and NIST worked on initially for long term storage of data). This standard is still evolving and, thanks to MBD, at a more rapid pace than ever. The QIF 2.1 (Quality Information Framework) standard is a format that readily extends MBD PMI dimension and tolerance data (the hard facts) into Inspection plans, results, and statistics. This standard format (ANSI approved) even further extends the re-usability of the MBD science into automated inspection with the potential to seriously reduce your scrap rate. Yes, it eliminates the “art” of inspection, and boils it down to math. In this case, I for one, prefer the math to the art. So, the next time you see a 2D drawing with static planar views, or have to work with legacy data that hasn’t yet found its way into the world of 3D, maybe you should take a step back and appreciate the effort that went into the creation of that work of art. Jennifer Herron is a practicing aerospace and defense design engineer with a unique understanding of the communication needed to span the gap between 2D detailed drawings for manufacture and the desire to maximize 3D CAD re-use. She is the CEO of Action Engineering and chairs the ASME Y14.46 subcommittee on Product Definition for Additive Manufacturing. Jennifer regularly conducts trainings and consults on model-based topics and is an expert in multiple CAD packages, such as Creo, NX, and SOLIDWORKS. 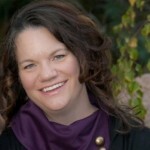 She is the author of Re-Use Your CAD: The Model-Based CAD Handbook, published in 2013.